Tollywood Bengali film Na Hanyate movie story review casting director producer cast of Na Hanyate release date book buy tickets online Bengali Na Hanyate Rahul, Priyanka & Roopa Ganguly, Na Hanyate Rahul, Priyanka & Roopa Ganguly, Bengali movie review plot shooting location cinema halls showing Na Hanyate Kolkata Bengal show timings upcoming Bengali cinema Na Hanyate watch online details information. Riingo directed Bengali film Na Hanyate, releasing on 16th November 2012, story is inspired by Ang Ling's essay 'The Great Tangshan Earthquake'. • Na Hanyate Bengali movie Director Name: - Riingo Banerjee. • Na Hanyate Bengali movie Producer name: - Srijita Films & Entertainment produced & presented by Swapan & Mita Paul. • Na Hanyate Bengali movie Music Director Name: - Sriram Yusouf. Dibyendu, Srikanta Acharya, Lopamudra Mitra, Swagatalakshmi Dasgupta, Somlata and Raghab have sung the songs of Na Hanyate Bengali film. • Na Hanyate Bengali film Casts Actors Actresses: - Rahul Banerjee, Priyanka Sarkar, Roopa Ganguly, Dibyendu Mukherjee, Deb Shankar Haldar, Sayani Dutta, Chaiti Ghoshal and many others. • Na Hanyate Bengali movie Release Date: - 16th November 2012. • Na Hanyate Bengali movie Story Review: - Riingo's new Bengali film Na Hanyate is a tragic story of a woman, who stands in a position where she has to choose one child to live with & another child to die. • Shooting Location Spot of Na Hanyate Bengali Cinema: - The shooting of Na Hanyate Bengali film was done at Kolkata [Narayan Studio near Joka Tram depot] and other places outside Kolkata. • Cinema Halls showing Na Hanyate Bengali movie: - On & from 16th November 2012 the Bengali movie Na Hanyate will be showing in these Cinema Halls of Kolkata & other places of West Bengal – Priya, Star [from 18th Nov], Prachi, Inox [City Centre / Swabhumi / Rajarhat], BioScope, Axismall [Rajarhat / Durgapur], FAME [South City / Hiland Park], PVR [Shalimar Howrah], Jaya [Barasat Mall], Jayanti (Barrackpore), Sanskriti Lokmancha (Burdwan), Rupasi (Agartala) and many others. New Bengali movie / Tollywood film Na Hanyate of Rahul, Priyanka & Roopa Ganguly seems to be worth watching in Cinema Hall; so start buy tickets online of Na Hanyate from www.bookmyshow.com website. Upcoming new Tollywood Bengali film Abosheshey movie story review castings director producer actors actresses Abosheshey release dates book buy tickets online Bengali Abosheshey Rupa Ganguly, Raima Sen. Photos pictures wallpapers download mp3 songs Abosheshey Rupa Ganguly, Raima Sen. New Bengali movie review plot shooting location cinema halls showing Abosheshey kolkata Bengal show timings upcoming hit Bengali cinema Abosheshey watch online details information. Talented new film-maker Aditi Roy is coming up with her Bangla Cinema Abosheshey featuring actresses like Rupa Ganguly, Raima Sen in September 2012. The Bengali movie Abosheshe has already been premiered at Washington DC South Asian Film Festival (DCSAFF) earlier this year. • Abosheshey Bengali movie Director Name: - Aditi Roy. • Abosheshey Bengali movie Producer name: - Anil B Deb & Deb's Entertainment House. • Abosheshey Bengali movie Story Writer name: - Neel Mitra. • Abosheshey Bengali movie Cinematographer name: - Ranjan Palit. • Abosheshey Bengali film Casts Actors Actresses: - Roopa Ganguly, Ankur Khanna, Raima Sen, Sudipta Chakraborty, Suman Mukhopadhyay and others. • Abosheshey Bengali movie Release Date: - 21st September 2012. • Abosheshey Bengali movie Story Review: - The Story of Abosheshey Bengali film is about the Discover of a Woman by her own Son. The Son has no memory about her mother [woman] and will never going to meet her in person; still discovers his mother [woman]. This is a story of a Son who returns to Kolkata after twenty-two years to find her mother 'Suchismita'. The search is not shown as 'sadness' but as 'celebration' and there was no flashback sequence as well. • Shooting Location Spot of Abosheshey Bengali Cinema: - All the locations are real and didn't setup for shooting. Suchismita's apartment shown in Abosheshey Bengali film is originally the actress Roopa Ganguly's house. • Cinema Halls showing Abosheshey Bengali movie: - Aboshese Bengali film will be shown in these Cinema Halls in Kolkata and across West Bengal on & from 21st September 2012 - Nandan, Priya, Metro, Star, Inox (City Centre / Swabhumi / Rajarhat / Liluah / Burdwan / Durgapur / Siliguri), FAME (South City / Hiland Park), Ajanta, Ashoka, Jaya, Malancha, Broadway, CineMax (Mani Square), Bioscope (Axis Mall Rajarhat / Junction Mall Durgapur), PVR (Avani Mall, Howrah), Jaya City Mall (Barasat), Jayanti (Barrackpore), Gitanjali (Bolpur) and many others. Bengali Cinema Abosheshey Video courtesy Youtube. Abosheshey Bengali movie won the 2011 NETPAC Award for Best Asian Film and Actress Rupa Ganguly has won the 2011 National Award in Best Female Playback Singer category for singing in Abosheshey Bangla Cinema. New Bengali movie / Tollywood film Abosheshey of Rupa Ganguly, Raima Sen seems to be worth watching in Cinema Hall; so start buy tickets online of Abosheshey from www.bookmyshow.com website. Upcoming new Tollywood Bengali film Mayabazar movie story review castings director producer actors actresses Mayabazar release dates book buy tickets online Bengali Mayabazar Roopa Ganguly, Dhritiman Chaterjee, Badshah Moitra. Photos pictures wallpapers download mp3 songs Mayabazar Roopa Ganguly, Dhritiman Chaterjee, Badshah Moitra. New Bengali movie review plot shooting location cinema halls showing Mayabazar kolkata Bengal show timings upcoming hit Bengali cinema Mayabazar watch online details information. Director Joydeep Ghosh directed Bengali movie Mayabazar, which was made 3-years ago, will release on 1st June 2012. Bangla Cinema Mayabazar is consisting of three different stories titled as 'Smriti' [features Roopa Ganguly, Krisna Kishore & Badshah Moitra], 'Satwa' [Featured Payel Dey & Dipanjan Bhattacharya] & 'Bhabishyat' [Featured Pradip Mukherjee & Dhritiman Chatterjee]. • Mayabazar Bengali movie Director Name: - Joydeep Ghosh [Debut film as Director]. • Mayabazar Bengali movie Producer name: - NFDC. • Mayabazar Bengali movie Music Director Name: - Anupam Mullick. • Mayabazar Bengali film Casts Actors Actresses: - Roopa Ganguly, Krishno Kishore Mukherjee, Dhritiman Chaterjee, Pradip Mukherjee, Badshah Moitra, Priya Karfa, Payel Dey, Dipanjan Bhattacharjee & others. • Mayabazar Bengali movie Release Date: - 1st June 2012. • Mayabazar Bengali movie Story Review: - Mayabazar Bengali movie is like 'Market of Illusions' and consists of 3 individual stories. The 1st Story of Mayabazar Bengali film is based on Sharadindu Bandopadhyay's 'Dehantar' titled in the film as 'Smriti'. Smriti Story is about the Widow [played by actress Roopa Ganguly] who sees her husband [played by actor Badshah Moitra] in every man. 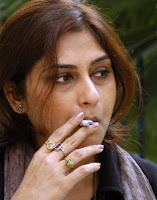 Roopa Ganguly portrays a character of middle-aged sexually active widow who has many lovers but obsessed with her husband. The 2nd Story of Mayabazar Bangla Cinema is titled 'Satwa' which is also based on Sharadindu Bandopahdyay's 'Shunyo Shudhu Shunyo Noy' where Television actors Dipanjan & Payel Dey have been featured. Mayabazar's 'Satwa' story is about young married painter. The story has been changed stated Director Joydeep Ghosh, the original 'Shunyo Shudhu Shunyo Noy' is a comedy but here you will get to see a serious plot. 3rd Story of Mayabazar Tollywood Movie is titled 'Bhabishyat' which is a satire based on Rajshekhar Basu's Mahesher Mahajatra. 'Bhabishyat' Story is about 2 Professors [Played by Actor Dhritiman Chatterjee & Pradip Mukherjee]. Tollywood film Mayabazar of Roopa Ganguly, Dhritiman Chaterjee, Badshah Moitra & Others., upcoming new Bengali movie, seems to be worth watching in Cinema Halls; so start buy tickets online of Mayabazar from www.bookmyshow.com website. 1. Ashok Biswanathan’s Bengali movie ‘Shantiniketan’ is the upcoming Bengali film of Rupa Ganguly in 2012. 2. Anurag Basu directed Bengali Movie ‘Borfi’ is another upcoming Bangla Cinema of Rupa Ganguly to be released in 2012. 3. Rupa Ganguly has signed two Bengali films under the direction of Srijit and the shooting of those films are going on. 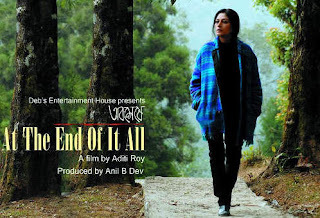 It’s expected to release those Bengali films of Rupa Ganguly in 2012 as well. 4. Rupa Ganguly has also signed and working in Bengali movies of director Anjan Dutta, Arindam Seal (2 films), Ringo and Cinematographer-Director Premendu Bikas Chaki. 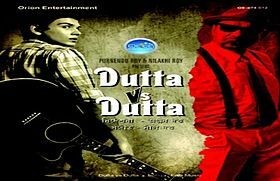 All these Bengali films of Rupa Ganguly scheduled to be released in 2012. It’s a great news to the fans of Rupa Ganguly that after so many years, the Bengali actress Rupa Ganguly back in Bangla Cinema Industry and working seriously at her age of 45-years (age of actress Rupa Ganguly in 2011).